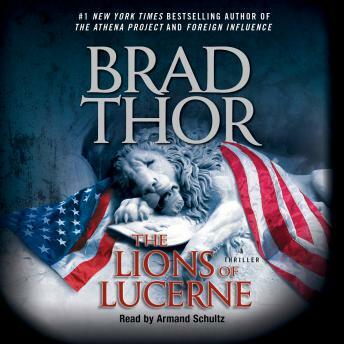 Listen to "The Lions of Lucerne" on your iOS and Android device. Overall, the story line was entertaining for this genre. The characters had depth. However, I could certainly hear that this was an abridged version. There were major gaps in the story line. Overall, it was worth listening to the audio book as along as you know it jumps ahead a bit. To me..this book took a moment to get into, but as it continued on, it became simply magnetic. The numerous possibilities kept me enthralled. Filled with action, realistic threats and locations, a love interest, and a surprise conclusion, I give this 5 stars. Great job Mr. Thor. You haven't heard the last of me. An edge of chair read. I listened to the unabridged version of Lions of Lucerne. Since this was the first book written, albeit slow in places I gave the author credit for the development of the series character Scott Harvath. Although a lot of mundane filler that slowed the pace of the book in places, Scott Harvath is a developing character. This was an interesting story line that makes me want to listen or read the next book in the series. The abridged version was frustrating. So many holes, bad cliches, and lack of character development mad this not worth the time to listen to.